Love Tunnock’s? This fun stretched canvas featuring Gillian’s heart-shaped take on the iconic Tunnock’s Teacake Wrapper design, and comes ready to hang. It’s sure to add some lighthearted Scottish style to any wall in your home. This unique and modern canvas print makes a brilliantly Scottish Valentines Day gift for a Teacake lover, and is a great birthdays present, Christmas gift or housewarming pressie. This product is also available in a subtle blue-grey here. 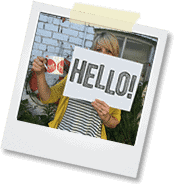 Have a look at some our other fantastic artwork and canvases here. 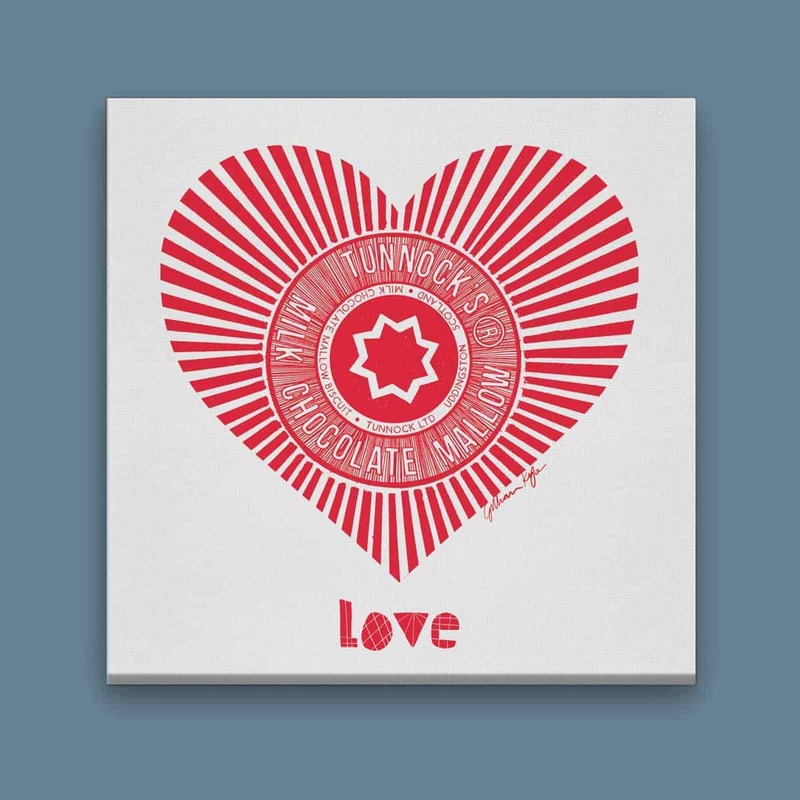 Lovingly illustrated, impeccably made and finished: these Gillian Kyle canvases feature our Tunnock’s Teacake designs, are handmade to order and are available in 4 portrait and 5 square sizes. We use a 280gsm bright white, tight-weave canvas material which is hand-stretched over a heavy-duty 38mm deep knot-free pine frame. All of our canvas prints come with built-in wooden wedges that make it easy to tighten the canvas over time if ever required. They arrive ready to hang, with a specially designed hanging kit that hangs your canvas flush to the wall. Just one of many wonderful additions we offer for your home. 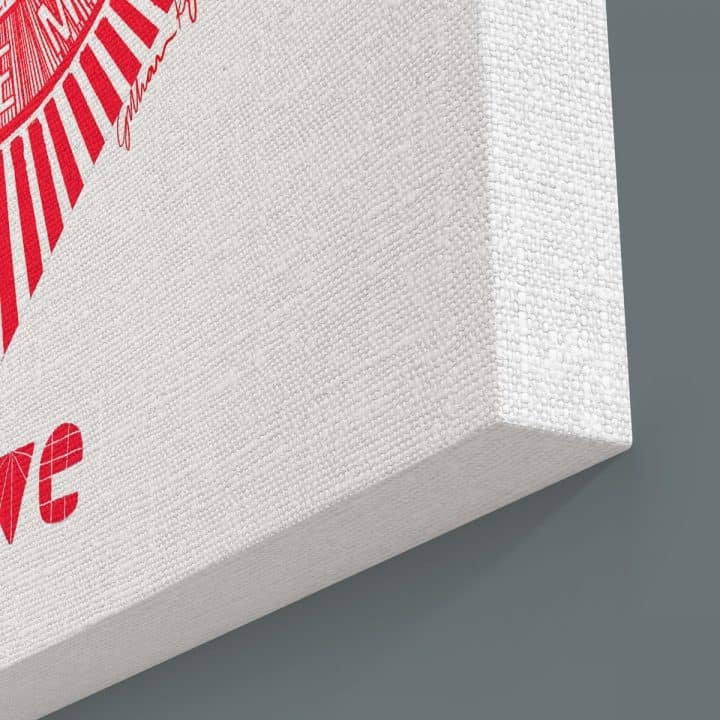 And only after each canvas is individually inspected, it is then carefully packaged in a white presentation box and dispatched to you post haste.